Sustaining a workplace injury can be taxing and definitely takes a toll on you both physically and financially. That is why it is important to file a workers’ compensation claim and then do your best to make sure the settlement you get is the one you deserve. For starters, plenty of workers’ compensation claims get denied so it is important to make sure you take the necessary steps to get your claim approved. Your claim can be denied for a variety of reasons, one of the most common being that you did not file it on time. Most need to be filed within days of the accident in question and your employer must then notify the state and/or their workers’ compensation insurance carrier just as quickly. It is important you follow up and make sure they do their part. Your claim could also be denied because your employer chooses to dispute it. This means it is important for you to compile evidence of your injury, the severity of it and how your work caused the accident that led to your injury. Once your claim is approved and the process moves forward you need to begin thinking about how you want your workers’ compensation settlement. In New Jersey, there are two types of settlement structures: order-approving settlement and lump sum settlement. Order-approving settlement – this settlement is when a percentage of disability is apportioned to the injured part of the body. For example, if you injured your leg at work and the injury called for surgery, you could receive a 20 percent disability of your leg. You would then be entitled to a monetary award that is based on a rate chart by the New Jersey Department of Labor, which is prepared each year. 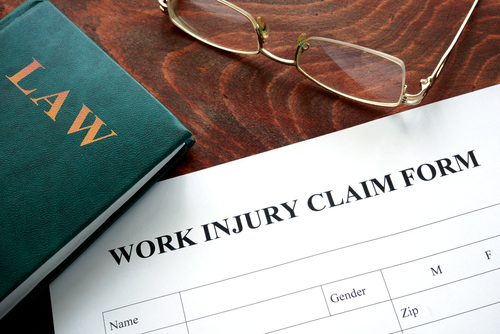 You would still be able to work and you would receive compensation for your injury that affects your work/daily life. In this type of settlement, the injured employee has the ability to reopen the case in an effort to modify the award. It can be reopened within two years of the last payment to seek additional medical payments and temporary disability or permanent disability payments. For the employer under this type of settlement, they accept a specific medical condition or conditions. If the employee ends up injured again in the future and suffers the same medical problem, the employer will receive a credit for the percentage paid. Lump sum settlement – This means getting all of the compensation at once instead of receiving payments over time. Under a lump sum settlement, there are a handful of features to keep in mind. As the injured employee, you cannot reopen the case in the future. The employer also does not have to admit any liability for the accident in question. Both the employee and the employer must agree to the settlement and it must be approved by a judge. There also must be a genuine issue about the cause of injury, dependency, jurisdiction or liability. One last thing that is important to note is that a lump sum payment is not considered a workers’ compensation payment except for insurance rating purposes. Weighing the pros and cons of each type of settlement is essential to making sure you are getting fairly compensated for your workplace injury. Settlements can be tricky and the wording of one is essential to getting what you deserve. That is why it is important to hire a workplace injury lawyer. The attorneys at Rudnick, Addonizio, Pappa & Casazza PC have been providing quality representation for injured people in New Jersey for more than 40 years. Contact them today for a free initial consultation at 732-264-4400. Careful and Careless: Who Takes The Blame?